Link - article by Avi Abrams and Crystal W.
Forget about fear and loathing. 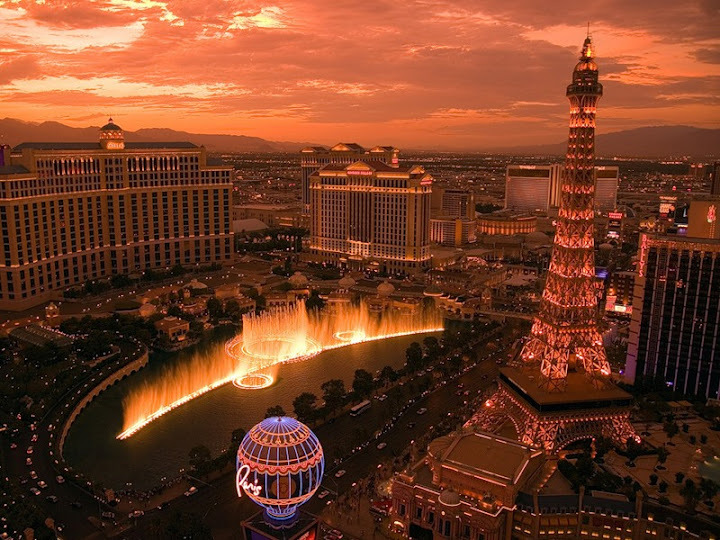 There are some truly wondrous environments and architectural spectacles that only Las Vegas could conjure - of course, we can not cover all of them within the limits of the short article, but we are going to mention some memorable ones. 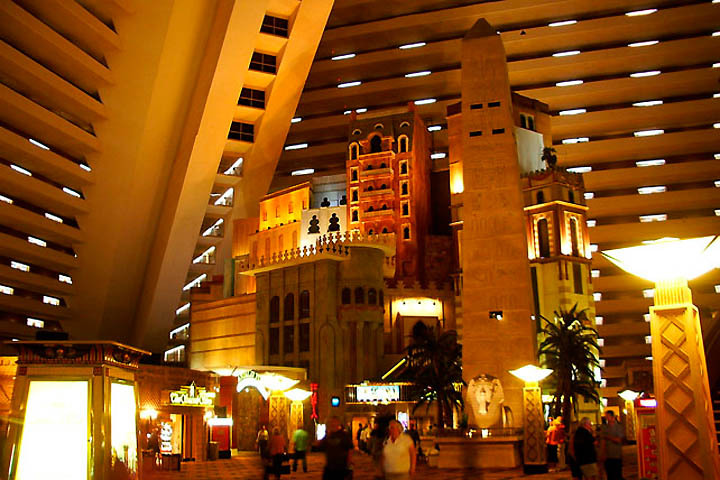 One need not travel far to satisfy a desire for fantastic architecture. 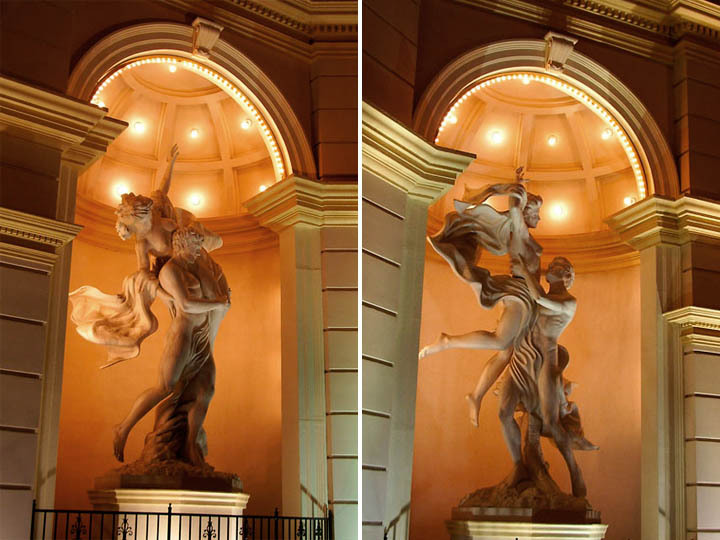 Some of the world’s most impressive designs can be found among the bright lights of famous (or infamous, depending on how you look at it) Las Vegas. 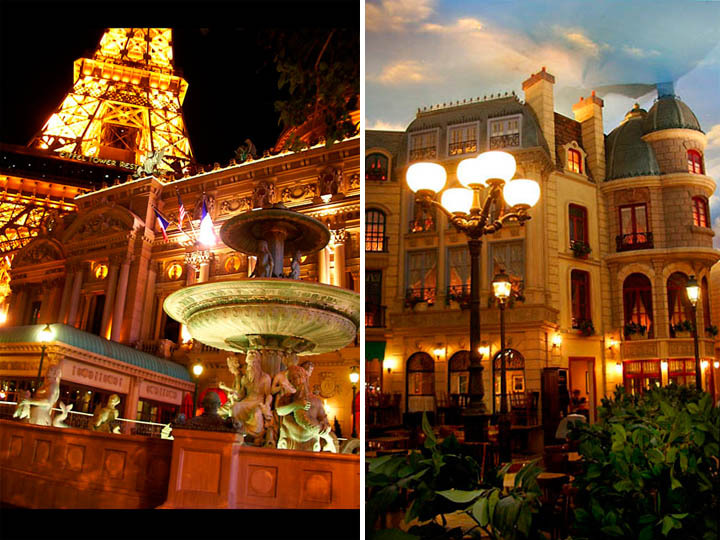 Along this one length of boulevard, people can get a taste of New York, Paris or Venice. They can walk amongst circus performers and magicians. 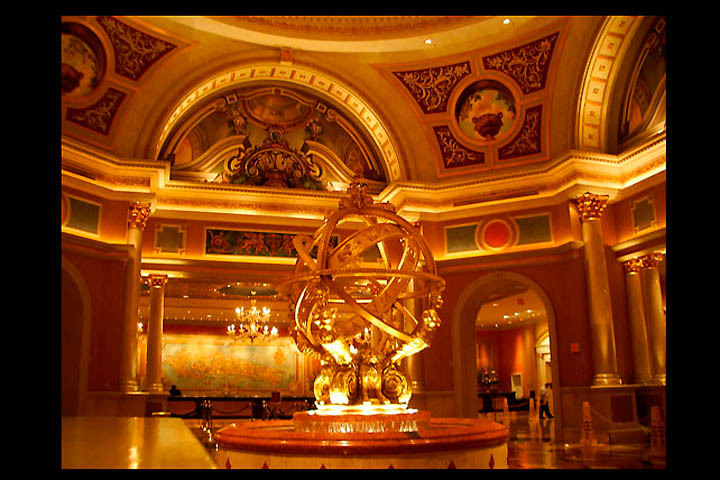 They can view modern spectacles of engineering at Bellagio, Wynn Las Vegas and MGM. 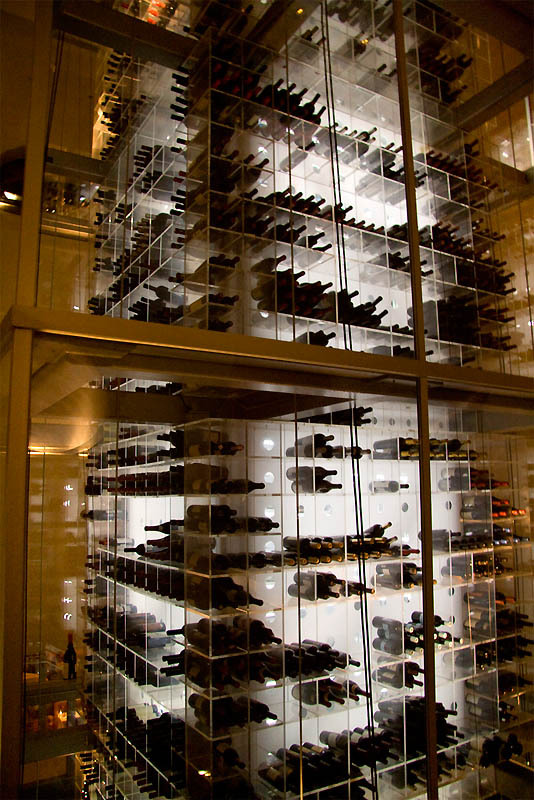 The glass case offers a mesmerizing selection of over 2,000 wines from all over the world. There is room for 10,000 bottles and amazingly enough, the tower is refrigerated to ensure each drink is chilled to perfection. 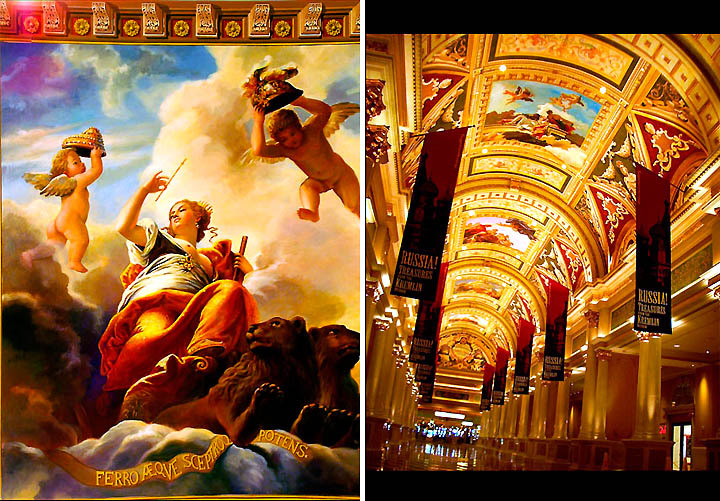 The Murals of The Venetian: Michelangelo Would Approve? 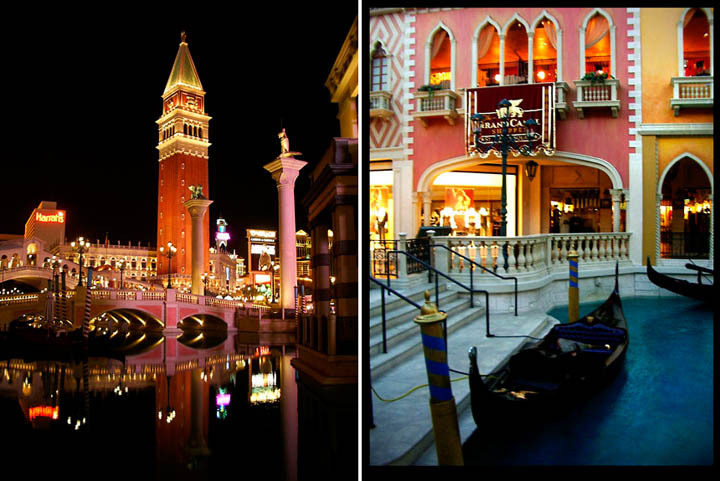 The Venetian is breathtaking and one of the most unique hotels on the strip. 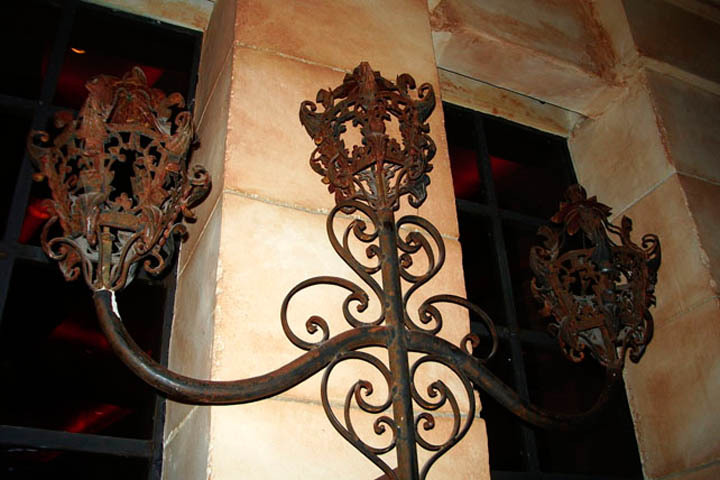 As soon as you step foot inside you will be taken back by all the intricate details. 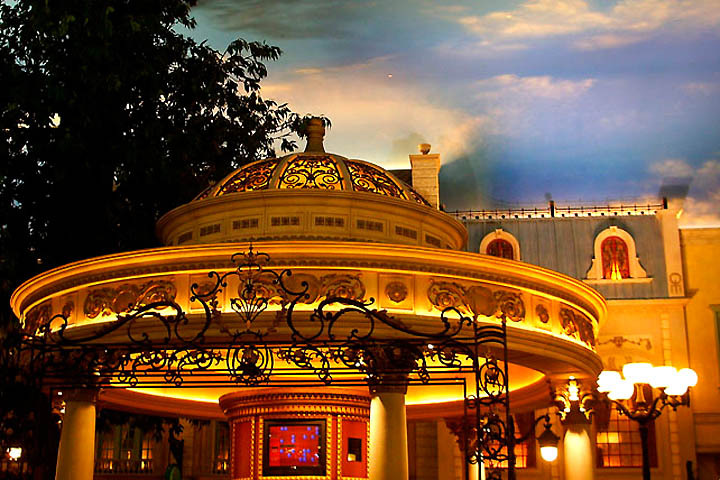 Designed to look like a romantic vacation in Venice, the hotel is adorned with fabulous artwork, Italian flavor, and an indoor sky surrounding marketplace-like shops. 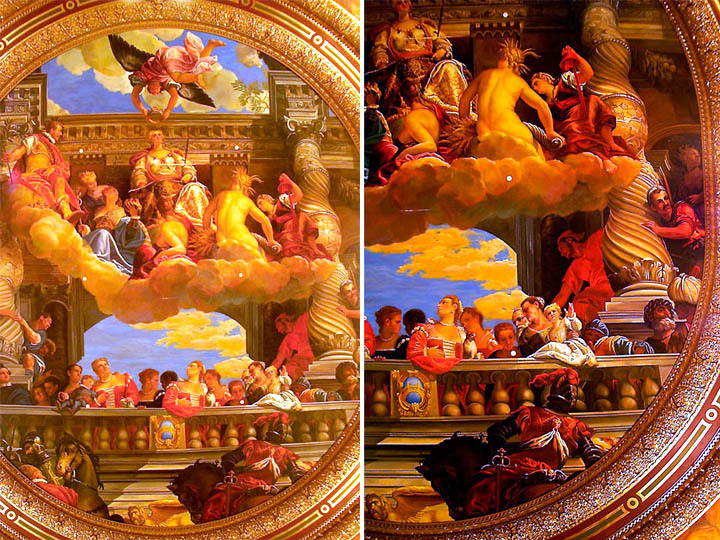 Probably most mesmerizing are the ceiling murals meant to resemble the work of Michelangelo. 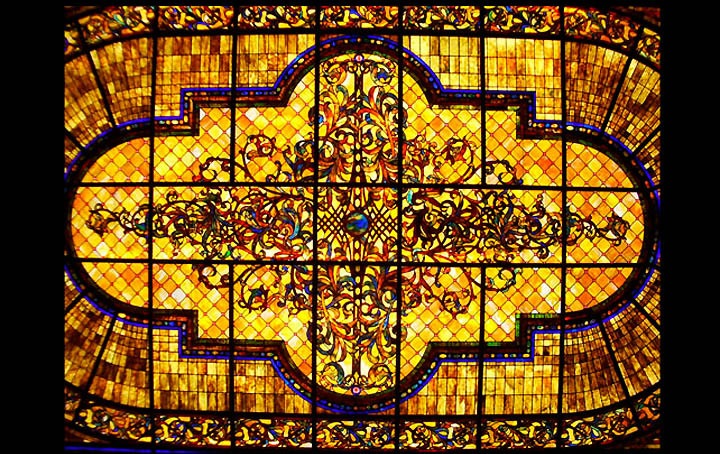 Vibrant imagery mimic the style of the Italian Renaissance and provide guests with heavenly inspiration throughout the hotel. Cross the Atlantic and take a bite out of the Big Apple. 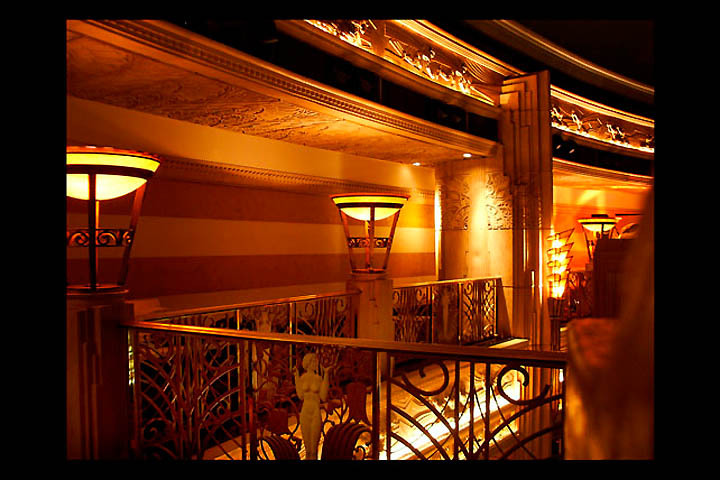 New York New York Hotel is the epitome of the legendary city, minus the traffic. 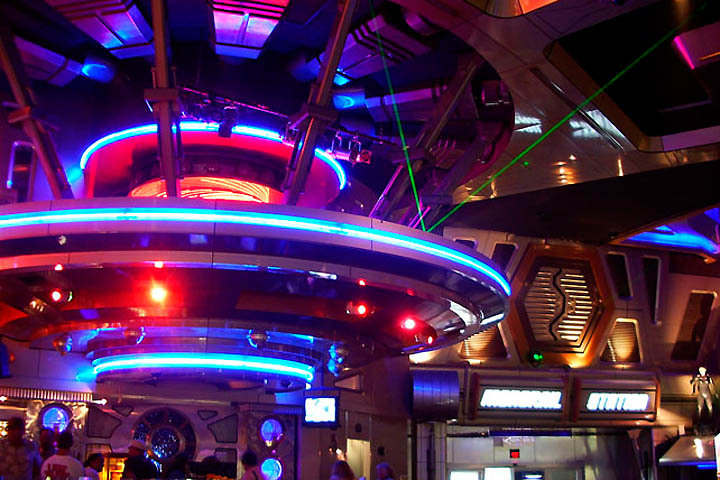 Visitors can ride the Manhattan Express that circles the hotel before heading to the ESPN Zone for some All-American food. Have a seat on the Brooklyn Bridge for great views of the strip. Inside, the hotel is built to resemble Central Park with a stream and authentic-looking New York neighborhoods. 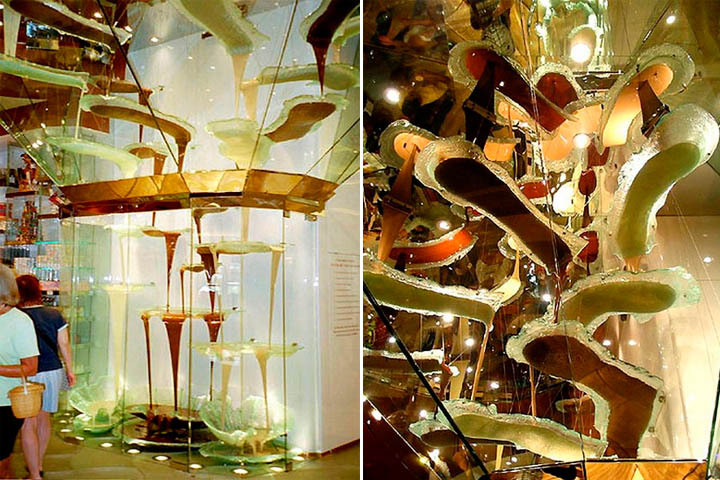 Let your tastebuds tingle and your eyes widen with lust at the sight of the World’s Largest Chocolate Fountain, both in size and volume. 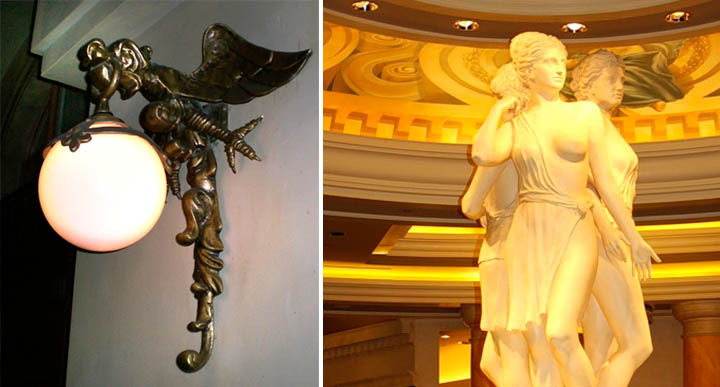 Nestled in the Spa Tower at The Bellagio, this modern creamy sculpture was the design feat of award-winning Executive Pastry Chef Jean-Philippe Maury and Norwood and Antonia Oliver Design Associates. This cocoa cascade creates a tantalizing masterpiece that is both compelling and scrumptious. 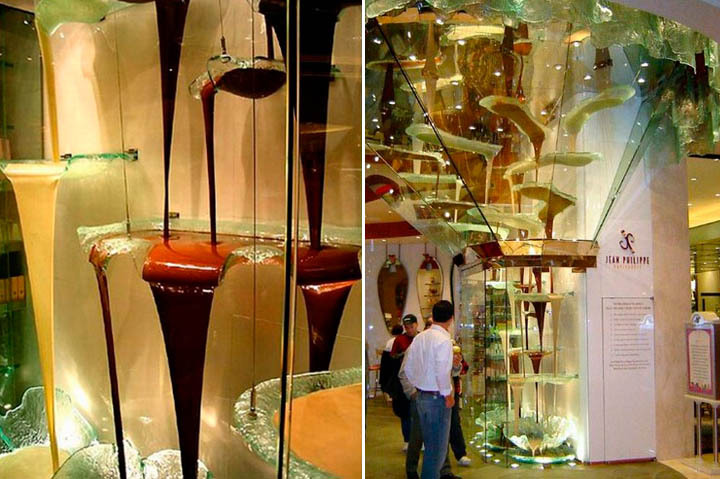 Standing a heartmelting 27 feet, melted chocolate flows from ceiling to floor along a series of cascades at a rate of 120 quarts per minute. Three tanks melt 2,100 pounds of milk, dark, and white chocolate to 120F before dispensing it through 6 spouts at the top. The rich blend of cocoa then twists and twirls around one another throughout their journey down a series of 25 glass vessels. Aqua glass was molded into half-inch thick chocolate vessels by artist Michel Mailhot and then suspended by cables to offer the illusion of floating chocolate. The entire spectacle is encased by a series of 300-pound glass plates that rise to form a funnel as the tiers expand upward. At the end of the downward journey, the chocolate collects in hidden melting pools before being pumped back to the beginning. Six pumps work to transport the molten chocolate up stainless-steel pipes two inches in diameter hidden within the walls of Maury’s Patisserie. Each pipe is surrounded by another three-inch pipe that circulates hot oils to keep the chocolate melted as it defies gravity to start over again. More than 500 feet of piping keeps this molten wonder running 24 hours a day. 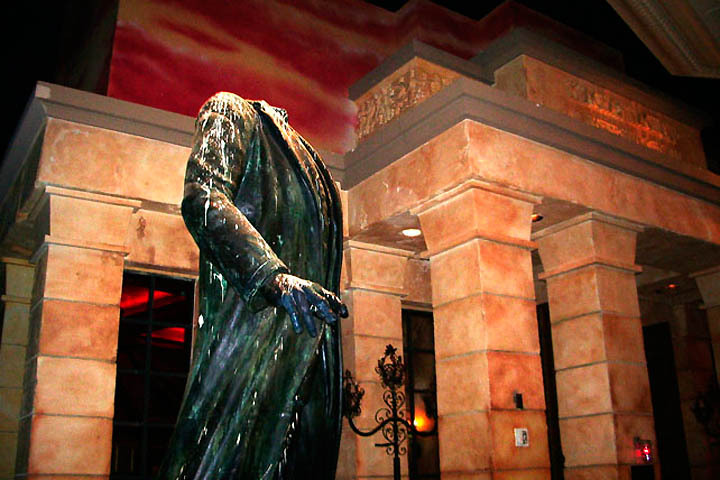 Even though the fountain is an impressive 27 feet, only 14 feet is actually visible to guests. The other 13 feet make up the piping and mechanical features. 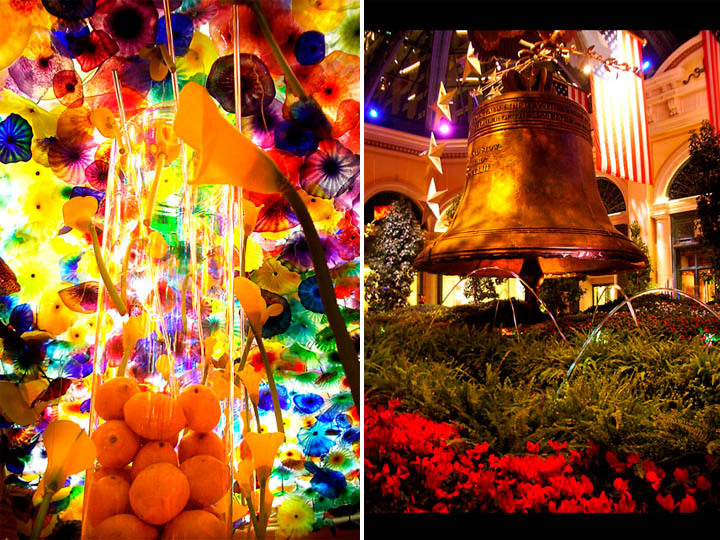 While at the Bellagio, don’t pass up a chance to see the dancing fountains. Water and color pulse to the beat of Broadway and classical tunes. The most serene and complex water feature ever built is lovingly designed to inspire romance as colors and blue aqua serenade one another long into the night. 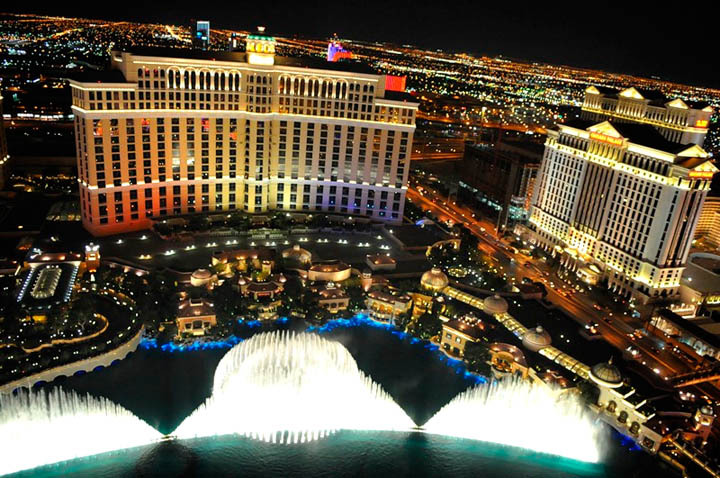 The fountains are located within the eight-acre lake in front of The Bellagio. 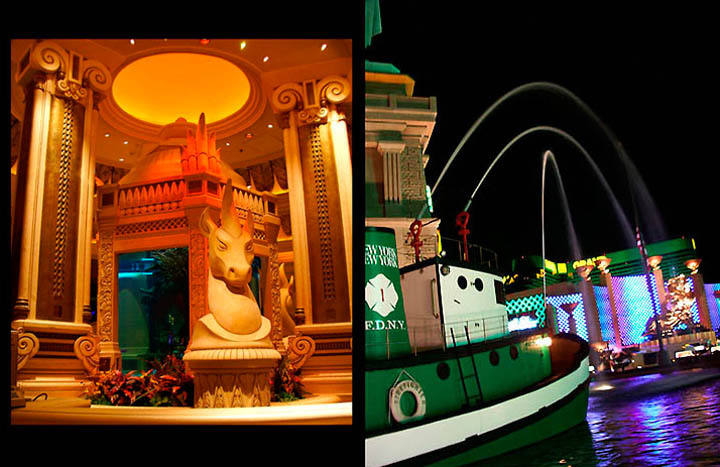 The scene spans 1,000 feet in length and comprises over 1,000 water expressions and over 4,000 individually programmed lights. With certain jets providing smooth continuous flows and others chiming in with quick, short bursts to different melodies, each show is a unique piece of expression and design. 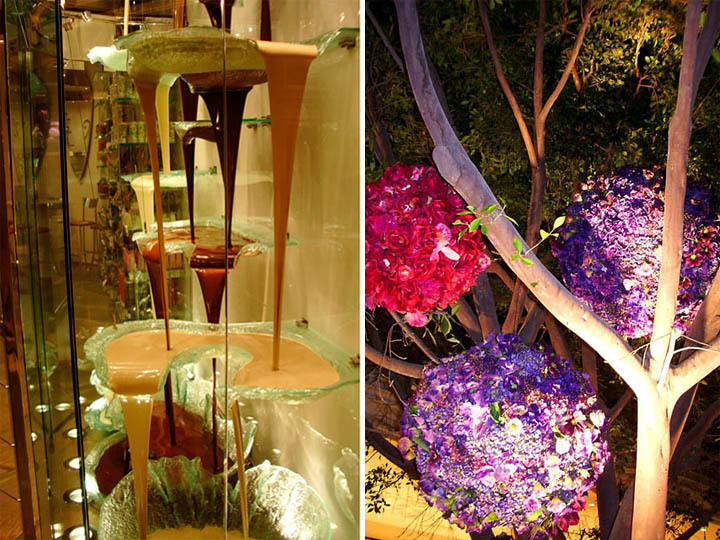 Since it seems that Las Vegas can get a little expensive, take note that seeing each of these treasures is free – however, it may be difficult to visit the chocolate fountain without indulging in some of the delicacies at Jean-Philippe Maury’s Patisserie. About the author: Crystal has a passion for all things weird and travel-related. She doesn't frequent the eccentricity of "sin city" too often but when she does, her favorite place to relax is the Wynn Las Vegas - Photography by Avi Abrams, Dark Roasted Blend. Also Read: "World's Strangest Theme Parks"
"Most Beautiful Roads in the World, Part 1"
Re Art Deco, I heartily recommend The Netherlands Plaza, at 3rd and Race St in downtown Cincinatti, OH. Furnishings purchased at the original Art Deco exposition in Paris, 192x. The 1st floor bar is probably the most surreal place to get drunk east of the mississippi. Jack is 100% right. 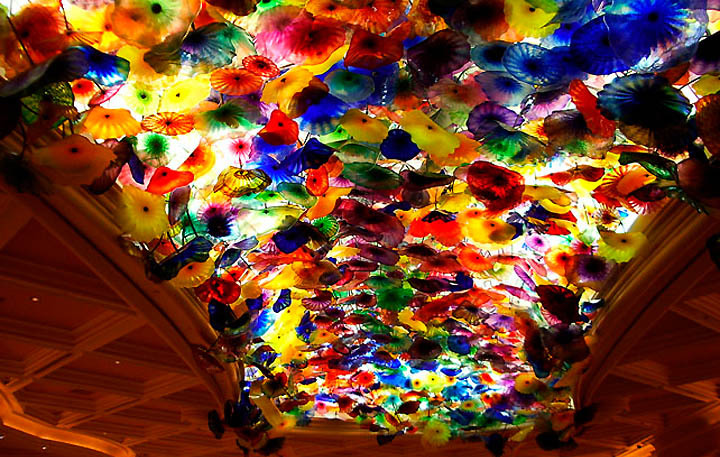 Vegas is a paper mache city. Th build quality and energy efficiency of most of those buildings is shameful. The chocolate fountain smells fantastic in person. I have tried many times to photograph the ceiling in the Venetian and the pictures always come out too dark. 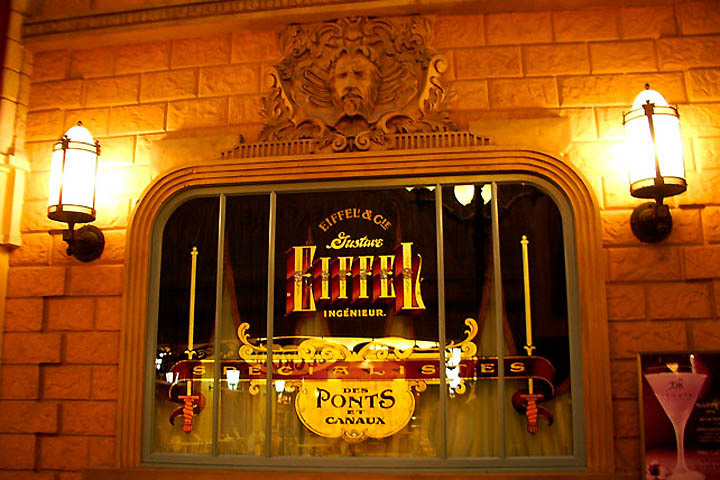 Loved the vintage nighttime shots though, well done! Hard to believe that Vegas started out as a Mormon outpost. Paper Mache by day or not - when night comes there's no place quite like it! Great photos! Absolutely gorgeous photos - really piqued my interest to visit - thanks!